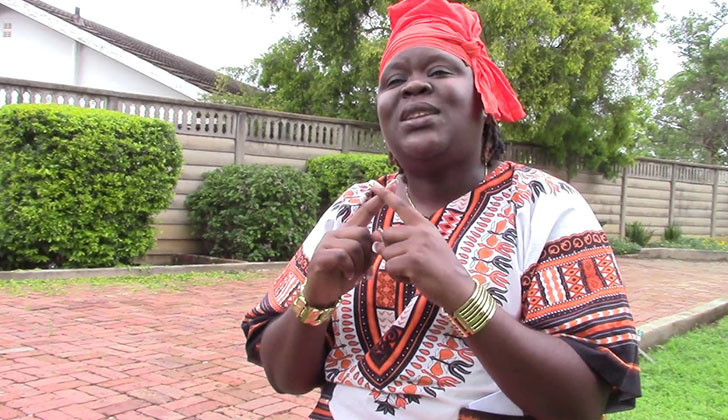 MDC-T spokesperson Linda Masarira has accused the United States of America of being a globally bully and self appointed prefect. Masarira accuses USA of looting American diamonds in Democratic Republic of Congo and having a vendetta against Zimbabwe for supporting the DRC government against the American funded rebels. Who appointed America to police the world? Who polices America and holds them to account for the human rights violations in America? They pretend to like "US" yet they are wolves in sheep's clothing, pretending to be democrats whilst amplifying their own agenda. The ZIDERA thing is being viewed by the majority as targeted sanctions, yet in actual fact they are real sanctions, because it carries OFAC AND AGOA which are sanctions are for finances and travel bans respectively. Let us start with number 5, the reason why it was a condition that Zimbabwe should withdraw its troops in DRC was because America had some interests there she was funding the rebels because she wanted mineral resources in DRC including diamonds. With the assistance of Zimbabwe military, Kabila's military was very strong such that the rebels could not stand a chance. The only time I supported Mugabe was on his stubborn stance on land reform. We can not allow only 6000 minority whites to own 51% of land while more than 13 million natives own less that 49%. Mugabe was good that he amended the constitution that if colonies failed to compensate for the land they forcibly took from native Zimbabweans, the government would reclaim it without compensation. As evil as he was he managed to take the land and give it to native Zimbabweans which didn't go down well with the white supremacists. The reason why these white supremacists want to be given back their farms is that they know that underground wealth such as minerals are hidden underground in their farms. We should come out clear as a nation, as to what we want, what we support or not to support. ZIDERA is causing so much suffering to the masses in Zimbabwe The land reform program should stand &be supported by government. It should benefit all Zimbabweans regardless of political party affiliation Efforts should be made to empower Zimbabweans to fully utilize our land.